The link between sound pollution and humans’ well-being has always been an intriguing issue for many scientists and researchers. In fact, there’s a white paper that reviews 40 years’ worth of reports and academic paper to discover the effects of sound pollution on our well-being. Julian Treasure is the man behind the white paper. He has devoted himself to his mission to make us think twice about the sounds we hear day after day and their effects on our lives. Julian’s research has uncovered some grim facts. The first is that hearing someone talking while you’re writing or reading can slash your productivity to one-third of your full potential. That’s a stunning revelation considering that many businesses have opted for open floor-plan for their offices. If you happen to work in such environment, you can probably relate to this finding. The next fact isn’t looking too good either. There’s a possibility that noise pollution contributes to crime. To overcome this, the mayor of Lancaster, California, decided to play bird chirps on speakers along Lancaster Boulevard back in 2012. As a result, minor crimes fell 15% and serious crimes fell 6%. The London Underground did a similar thing in 2008, but instead of birds chirping, they played classical music to reduce antisocial behavior. The result was also promising. Assaults on staff fell 25% and robberies fell 33%. Those are some amazing figures if you ask us. Want to hear something scarier? Traffic noise can harm your cardiovascular system. Sounds can harm the body on the cellular level. So when you’re caught up in a traffic jam and everyone’s blaring their horns, your risk of getting heart failure, stroke, arterial hypertension, or coronary artery disease increases. 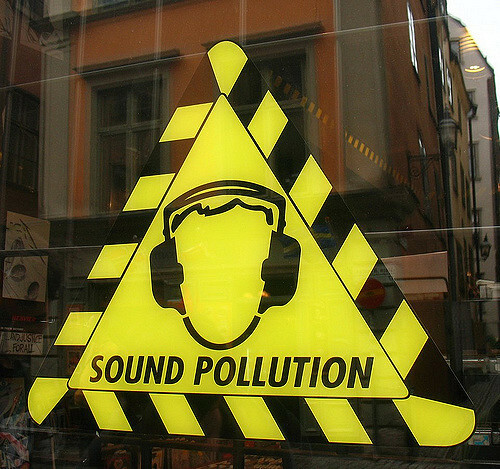 It’s time for you to protect yourself from the bad effects of sound pollution. Playing soothing and relaxing ambient sounds is one way to do it. If you work in an office with open floor-plan and your coworkers are too chatty, just play ambient sounds on your phone, plug in the earbuds, and enjoy serenity. Caught in a jam while driving home from work? Play a calm ambient music of your choice through your car speakers. You’ll arrive home feeling relaxed instead of all stressed out and catch a heart attack. Where can you find some good ambient sounds? Well, ambient-mixer.com has an extensive collection of cool ambient sounds from all kinds of atmosphere and theme. Pick the ones that suit you or create your own ensemble.